REAL WEDDINGS. REAL LIFE. REAL BEAUTIFUL. Over the past 8 years, we’ve had the privilege of hosting the most amazing weddings (with the most amazing guests! ), all unique and genuinely beautiful - and with Maui as a backdrop, you can’t go wrong. From the menu selections to decor to florals to entertainment, we love coordinating the perfect day for our bride & groom! We are so excited to share with you these special glimpses inside of the magical moments and intricate details that go into each wedding celebration with Trilogy! With family lineage in Hawai’i, Kurt knew from the start that he wanted at least a few elements of Hawaiian tradition represented in his & Jessica’s perfect wedding day. Soon after planning started, the idea struck them.. what could be more Hawaiian (and naturally beautiful) than a ceremony at sea along the picturesque coastline of Maui! 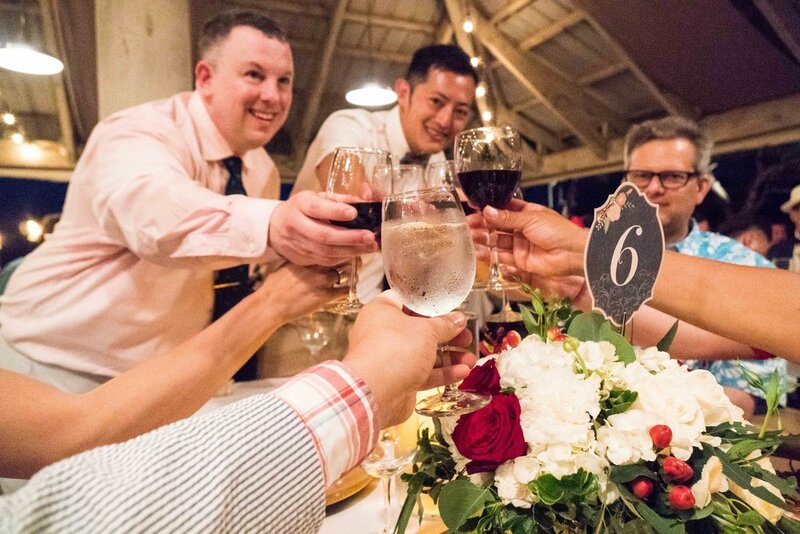 From the moment of their engagement, Mike & Kung knew they wanted a destination wedding that focused on celebration, having fun, and truly enjoying the moment (of course with all of their favorite people by their side). On a trip to Maui in 2016, they both fell in love with our cozy island neighbor, Lana’i, and with that, the planning officially started! Both being raised in Hawai’i, Alex & Denver were sure they wanted an outdoor wedding that combined modern touches with tropical elegance in a natural, effortless way. With an intimate group of friends & family, they knew that the Hale o Manele pavilion on Lana’i was the perfect island setting to make their dream wedding a reality.